We have 3 great open bowling packages available on weekends. Lanes must be reserved online to get these great deals as there is a limited number of lanes available each weekend. Use the button below to book your lane now! 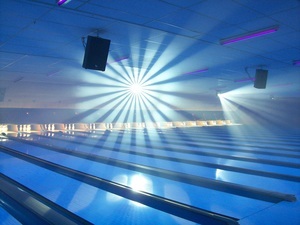 We're super excited to offer our EXTREME Cosmic Bowling on Friday evenings once a month starting at 6pm! This is a great way for families with younger children to experience our EXTREME Cosmic Bowling without staying up past bed time. This event is designed for all ages, and we'll be playing only "Mom-Approved" music. We have Family Glow Fridays planned for 12/21, 2/1, 3/29, and 4/19. All Packages are per lane and include shoes!